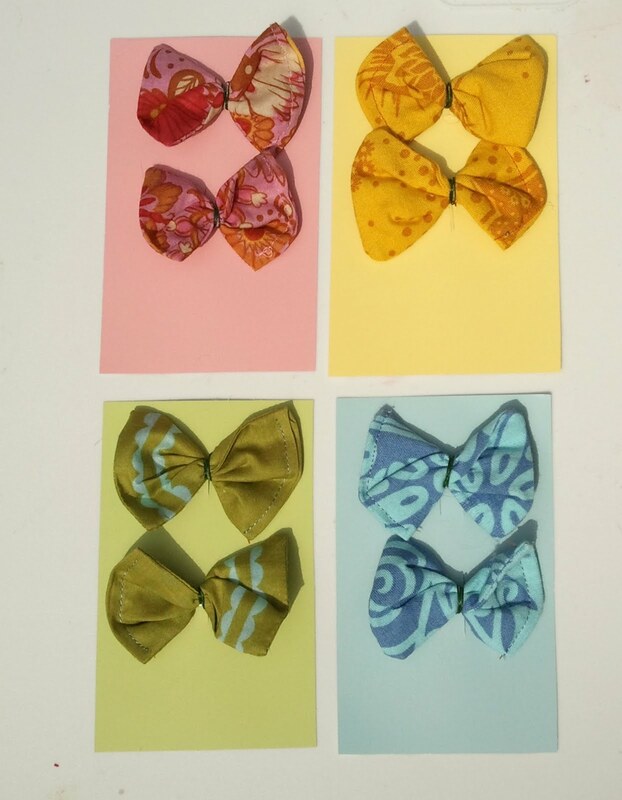 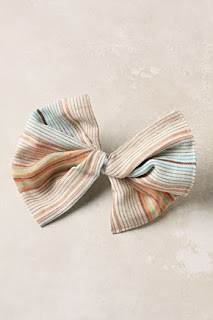 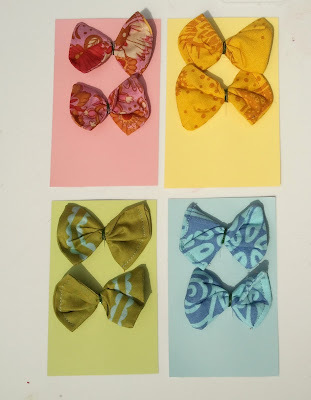 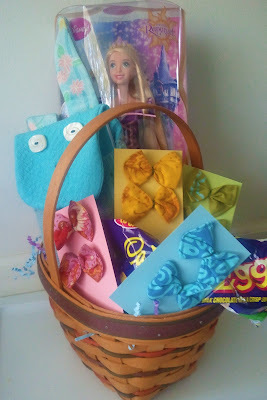 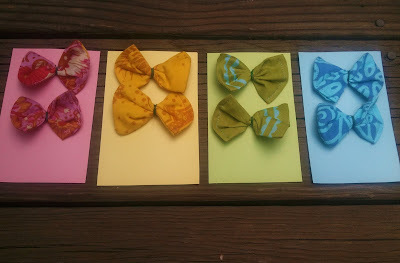 These hairbows are easy, sweet, and a great way to use up fabric scraps! 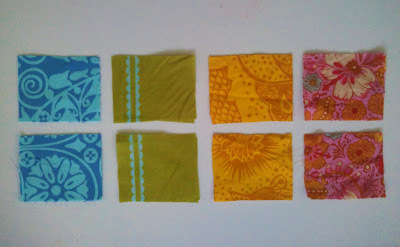 Step 1: Cut out your fabric scraps 3"x 2 1/2". 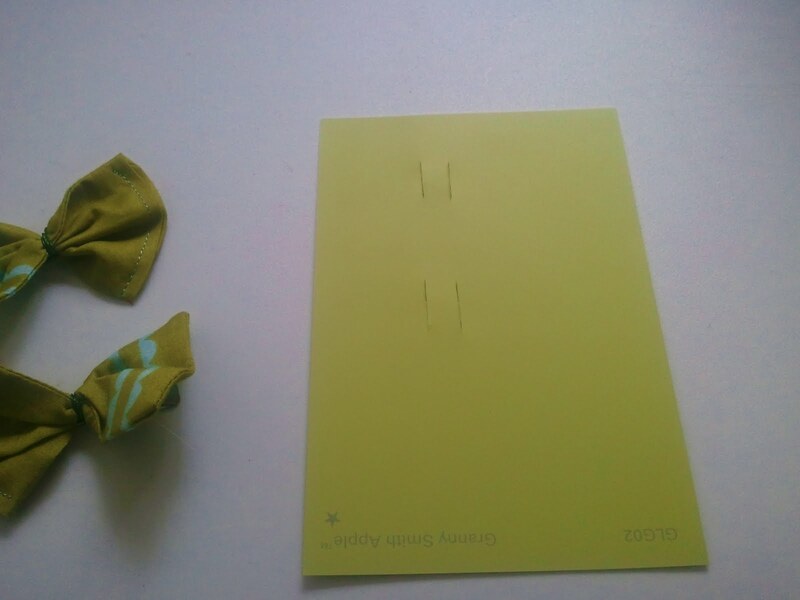 Cut two rectangles out for one bow. 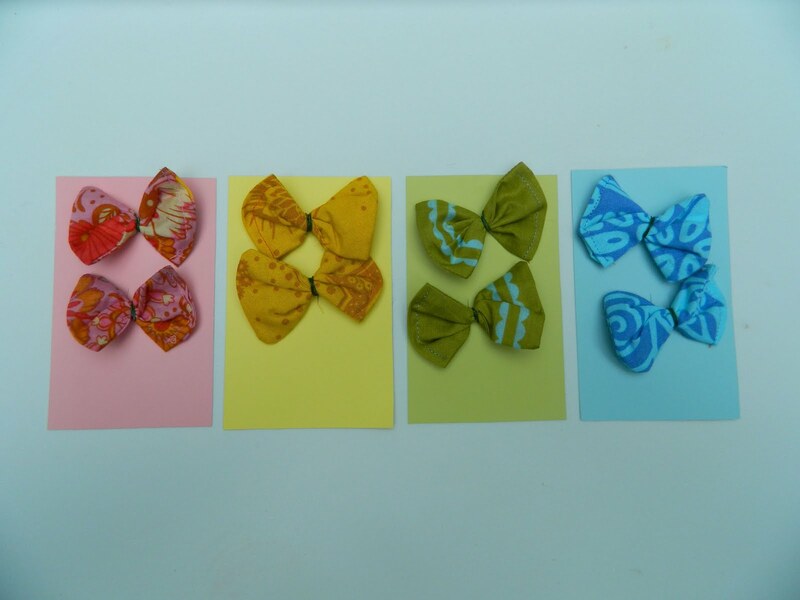 Since I made 8 bows, I cut out 16 rectangles. Step 2: Lay the fabric right sides together and stitch around 3 sides, leaving one end open (like sewing a tiny pillowcase). 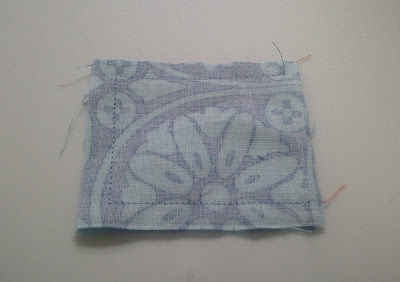 Step 3: Flip it right sides out and turn the raw edges inside. Press. Topstitch the opening closed. 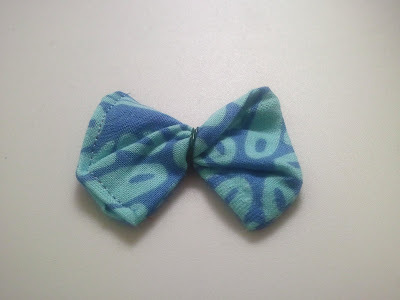 Step 4: Now twist the rectangle once so that it makes a bow shape. 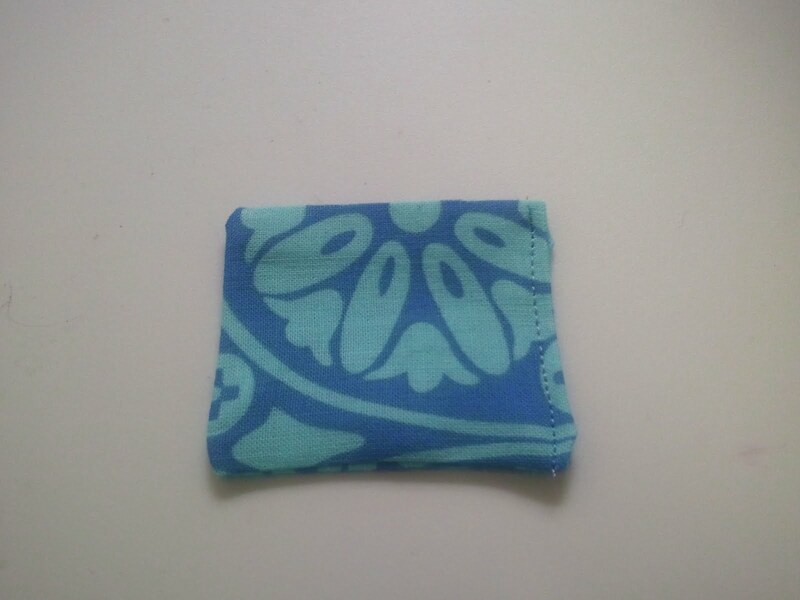 Wrap the wire around the middle a few times so that it will hold it's shape. 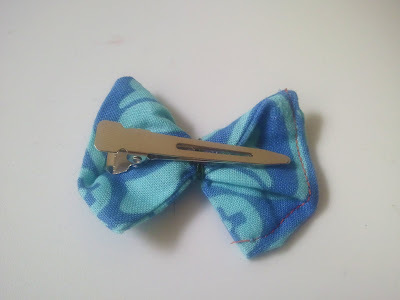 Step 5: Hot glue the bow to a hairclip. 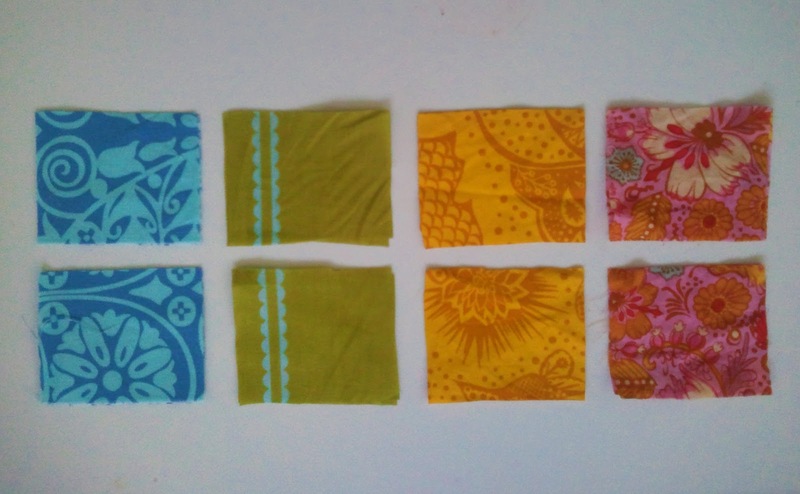 Let it dry and that's it! and clipped the bows onto them. Perfect way to slip them into her little Easter Basket!